TUK TUK THAI Who are we? We wanted to create the right atmosphere for our guests and to get a sense of walking right in from the street into a real Thai restaurant with some of the best Thai food in Oslo. Therefore it was very important for us to use the right materials and techniques from Thailand to create the right atmosphere. Decor with several thousand meters bamboo is sourced container from Thailand. The same applies to the roof fans and lighting with bamboo, palmer, lysslynger and most of the decor. Over loudspeakers we play muted modern Thai music to create just the right mood. We hope you will experience the same mood of Thailand, that you recognize from your vacation. 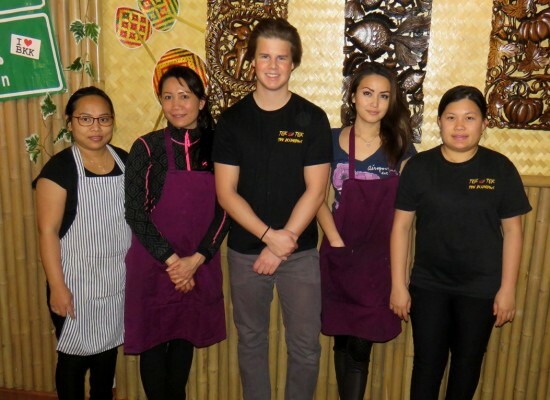 Want back Thailand feeling bring friends or family and pay us a visit at the cosiest Thai restaurant in Oslo. Welcome to a lite piece Thailand Tuk Tuk Thai Restaurant, Møllergata 8, 0179 Oslo. In the kitchen chefs from Thailand and they all work in restaurants and hotels in Thailand before coming to Tuk Tuk Thai. Even wok pans, boilers, beaters, ladles, cutlery, trees, palmer, lighting and furniture from Thailand. TUK TUK THAI Hvorfor Tuk Tuk Thai? 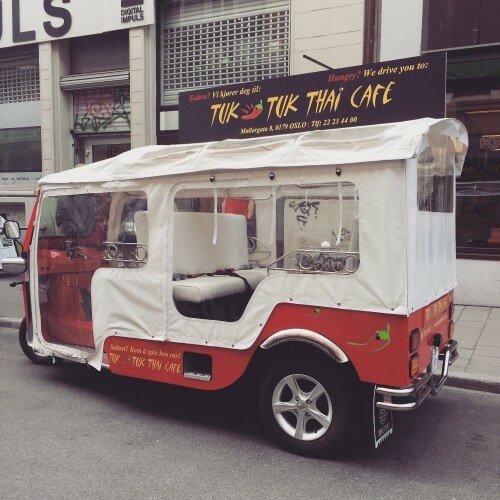 We also think that the name Tuk Tuk Thai commits, so we have purchased a genuine Tuk Tuk which in summer often find parked outside the restaurant. This is a costly 7 seater limousine version that is often used as shuttle transportation in Bangkok. It is also possible during the summer months to reserve this. We can inside the ring 1 drive to and from the birth day companies statement, and more. If necessary, consult via our contact form here on our website.